I started practising yoga in 1997, as I found it a wonderful way to treat the aches and pains arising from my work as a musician. (When I’m not doing yoga I play the violin for a living.) I explored a wide range of styles and traditions, and eventually decided to take my practice further, completing a teaching diploma with Yogacampus in 2008. Being pregnant with my first baby a year later transformed the way I approached my yoga practice, and my son’s birth- intense, challenging, and the toughest, most deeply rewarding thing I’ve ever done – was a turning point for me. There were various complicating factors that could have made it a medical event rather than a normal birth, but my yoga and meditation practice, as well as educating myself about birth, were key in keeping intervention at bay and making it the rich, empowering experience that it was. From that point on I became passionate about teaching pregnancy yoga, and completed my YogaBirth training in 2012. My second baby’s home birth was a much more laid-back sort of affair, but every bit as beautiful and joyous. Yoga is fundamentally an act of kindness towards yourself, and as such is ideally suited to pregnancy. The spirit of gentle inquiry, openness and acceptance are all things that serve you well no matter what happens in birth, or in life. I teach in Hammersmith and Ealing, West London. I am a Childbirth Educator, Active Birth and YogaBirth Teacher and a doula and baby massage teacher. I teach yoga for pregnancy in Enfield, London. I have been around birthing women for over 20 years and know that women who do preparation for labour during pregnancy, often birth their babies in a much more peaceful and efficient way than women who have not prepared with yoga. They tend to be more at ease with their breathing and their bodies, creating the ideal environment for a more straight forward and easier labour and birth. I do believe that every woman has the potential to birth her baby with her own natural hormones, and often what is needed is more awareness of the whole physiological process. Once women become aware of this, they may choose a different path for their labour and birth. I have been at many home births, which I consider my speciality, having birthed my own 5 children at home. I have been in many hospital birth centres and labour wards, with mothers having waterbirths, vaginal birth after caesarean and breech labours. As a yoga for pregnancy teacher I have worked in different places including children centres, private hospitals, and with teenage mothers and women in prison as well as in the general community. I offer one to one yoga for pregnancy and postnatal sessions as well as private consultations and baby massage. Following a fantastic birth with my first child in 1995, I trained as an Active Birth teacher, and have been a part of YogaBirth since it was founded. I am also a birth doula. I work mainly in my local North London community, where I offer yoga for birth classes, postnatal yoga and discussion groups, and birth preparation courses. At the Active Birth Centre I teach with Janet Balaskas, both parents’ birth preparation as well as professional development for other teachers, midwives and doulas. For many years I worked with the very special Birth Unit at the Hospital of Saint John and Saint Elizabeth, and have travelled in the UK presenting interactive workshops for midwives. I adore teaching antenatal yoga, as it helps women to appreciate their changing bodies and their babies during pregnancy, and it prepares them, little by little, to trust their body’s design and power to give birth healthily and joyfully. My doula work grew organically as I supported many of the women from my classes and in my wider community. I am deeply committed to nurturing women and their partners through birth and the transition to parenthood, and to working with midwives. It is always a pleasure and a privilege to be present at a birth. My husband and I have three teenage children. 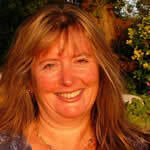 Judy has practised Yoga for many years and has been teaching Pre and Postnatal Yoga since 1996. It was while working as a nurse in Asia that she first became drawn to Yoga, when expecting her first child. She gained enormous benefit from this practice which gave me the confidence to go on to have her second child at home. She trained initially in South India at the Sivananda Vedanta Ashram in Kerala. She subsequently went on to train for a further 2 years with Janet Balaskas, Lolly Stirk and Yvonne Moore at the Active Birth Centre in London. It was at this time that she came to understand how a more intuitive approach to Yoga, based on the teachings of Vanda Scaravelli, could transform her practice. She gained her Diploma in Teaching Yoga with the British Wheel of Yoga in the late 1990’s and has also completed a Diploma in Baby Yoga with Birthlight, and Yoga for the Special Child at the Special Yoga Centre in London. 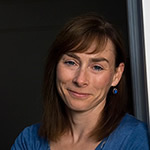 She also has a strong interest in the use of hypnosis in childbirth and teaches HypnoBirthing privately and runs Breathing, Relaxation and Self-Hypnosis classes within the NHS. 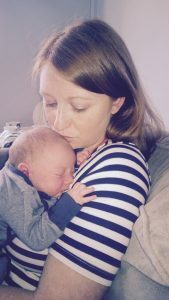 She continues to work part-time as a midwife in the NHS, and runs her own classes in Yoga for Pregnancy, Couples Birth Preparation workshops, Postnatal and Baby Yoga. 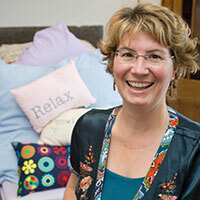 She also offers Yoga for the Special Child and HypnoBirthing and Birth Preparation on a private one-to-one basis. 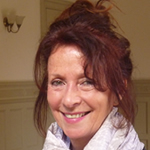 As Director of the YogaBirth Teacher Training and Tutor for the BWY Pregnancy Module, she has a deep interest in passing on her knowledge to other teachers. 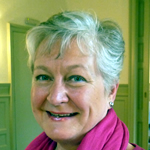 Judy teaches in Aberdeenshire and Perthshire and runs courses throughout the UK. I trained with Janet Balaskas in London, and brought the work to Brisbane, Australia. For 27 years I taught Active Birth Yoga, postnatal yoga and a variety of birth and parenting classes. The desire to support deeper emotional and spiritual process work led me to look for counselling training. I was blessed to find Gestalt Therapy and trained for 4 years before offering this work also. I closed my yoga practice at the age of 60, 2 years ago. I still teach some birth preparation, and I mostly now work as a psychotherapist. I describe myself as “specialising in the childbearing years” and I see women, couples and also co-facilitate, with another therapist, a Growth and Support Group for Mothers. I still see myself in the YogaBirth community, just with less asana. I have a growing love of Family Constellation work, and do as much learning as I can in this area. Why do I love my work? Because it’s so rewarding. It’s an absolute privilege to walk with people on the transitional journey of making a family, and to support their growth as they face challenges and demands along the way. Nuria is a childbirth educator, voice dialogue facilitator, yoga teacher and massage therapist who specializes in the prenatal and postnatal period. She lives and works in Barcelona and her passion is to empower women by promoting an active, positive and conscious pregnancy and birthing experience. She supports women all the way through their pregnancies, birth and beyond. She has been practicing yoga since 2004 and teaching since 2015. I have been practicing yoga since the early 1990s and started teacher training in 2003. I have trained with The British Wheel, Inner Yoga Trust and of course YogaBirth. I teach pregnancy yoga, general yoga, postnatal & baby yoga and yoga in schools in Fife, Central Scotland. In 2012 I published Yoga and Breathing for Pregnancy and Birth in association with YogaBirth. It is available from Amazon. You can see my style of yoga on the Youtube channel ‘theyogaclasses‘. My journey into the world of birth came about when I was 17… a long time ago. I remember watching a documentary about the work of French obstetrician called, Michel Odent, sharing his clinical experience of women birthing in his birth centre in Pithiviers, France. He advocated that as mammals we prefer to be private and primitive when birthing, yet the hospital setting of western society is not a conducive place for humans to birth their young. It was a eureka moment, I decided that sometime in the future I wanted to birth my babies in water, in peace and quiet, with respect. Fast-forward 13 years and during the pregnancy of my first child I discovered Active Birth classes and found the book New Active Birth by Janet Balaskas. I gave birth at home and was amazed by the process. This synchronicity of life made it possible for me to start my training as an Active Birth Teacher in 1990, and here I am 20 years later, still impassioned, still learning lessons and still supporting women to have amazing and gentle births. 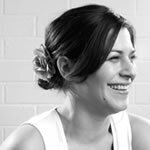 I live and work in North East London, where I teach prenatal and postnatal yoga, and birth preparation workshops. I am also a doula and craniosacral therapist. I teach in East Sussex and in London. I taught yoga for pregnancy classes for over 15 years and have attended many births. From observing women and from listening to their stories I wanted to deepen the support that I can give to birthing couples. I now teach couples a new approach to birth preparation which involves the energetic and spiritual aspects of birth. My forthcoming book Birthing Together – an energetic and spiritual approach to pregnancy and birth preparation, outlines my new approach. I am a mother and a doula. I have been practising acupuncture since 1992 in East Sussex and London and in 2006 I was ordained as an interfaith minister. I have been involved with yoga and birth since 1986. I am massively committed to informed choice and women’s potential to give birth without unnecessary medical intervention. I taught classes in North and East London until 2003. I now live and teach in South Dublin. 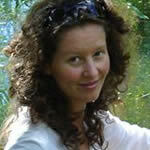 I am a YogaBirth teacher in Greece, where I have been teaching professionally since 1998. In addition to my YogaBirth training, I have attended many professional courses and specialized seminars in Greece and abroad by distinguished teachers of BKS Iyengar and Sri T.K.Sribashyam (son of Krishnamacharya). I have taught in private schools of yoga and spas in Greece and Cyprus, in theatre groups, for the National Association for Deaf- Blind Children and the LITO Maternity Hospital in Athens, where I work on a permanent basis teaching prenatal yoga, postnatal yoga and baby massage, and birth preparation for couples. As an international member of YogaBirth, I have presented my work at the conference series: Greek Obstetrics Psychoprophylaxis Company, National Midwifery Conference and the Scientific Nursing Conference for Private Health Sector. I have published articles on yoga and antenatal yoga in relevant journals and www.yogaonline.com. I am a mother with 3 grown children and I honestly feel that being a mother is the most important job in the world. I am passionate about my work and get a genuine pleasure in helping improve women’s journey through pregnancy, birth and motherhood. I teach in South West London, covering Wimbledon, Southfields and Morden, Surrey. I teach pregnancy yoga, postnatal yoga with baby massage and general yoga. I also teach sessions for couples and birth partners incorporating Hypnobirthing and Active Birth, which includes childbirth education, yoga, breathing, massage and visualisations. I completed my training with the Active Birth Centre in 1997. I became a qualified general yoga teacher in 2000 after studying with John Stirk, Peter Blackaby and Sophie Hoare. I also trained with the UNICEF Breastfeeding Initiative in 2007 and the Doula UK training Paramanadoula in 2006 . More recently I completed the Katharine Graves Hypnobirthing Teacher Training 2011. I have been involved with YogaBirth since its inception working on the Committee and Teacher Training courses. I started supporting women through pregnancy and childbirth in 1972 after the birth of my first child at home, because I realized women didn’t believe they had choices and control. It has never mattered to me where or how a woman chooses to birth, it matters that she knows she can choose. Since 2004 it has become a vocation as well as a passion. In the last ten years or so I have trained with Pam England of Birthing From Within, taught as an NCT qualified antenatal teacher, and become a Bach Flower Remedy Practitioner. I served on the Development Group at NICE for the Induction of Labour and the Diabetes in Pregnancy Guidelines as well as been a Specialist Committee Member in both these areas for the Quality Standards Advisory Committee. I have also been on the advisory group for the 5 year long National Maternal Near-Miss Surveillance Programme. I have had the pleasure of being trained by Naoli Vinaver, a Mexican parteira or midwife, in the use of the Rebozo and now frequently am asked to teach midwives, doulas, childbirth educators and women throughout the UK in the ways of the Rebozo. With all the wonderful things I have been taught, and all the amazing women I have met, I have not found anything as effective as yoga and breathing to help women in labour. Labour is one of those times in a woman’s life when she needs to liberate the intelligence of her body – and our bodies are marvelously intelligent things – through the use of movement and the breath. My Yogabirth classes in West Cornwall provide a safe space to practice being an intelligent body, and create a relaxing space in your life to prepare for the journey ahead. Regardless of how you want to birth, or how you will birth, yoga helps you to feel powerful and in control. That is why I am so proud to be a Yogabirth teacher. “Talking about oneself is always fraught with difficulty. After 30 years of experiencing a few different kinds of yoga I just want to say how the culmination of all the Yoga I have done makes me feel right now when I practice Yoga. Perhaps you the reader will be able to relate to some of the words or phrases I use in my own personal ABC of YOGA! A ~ Active, B ~ Blooming, C ~ Calm & Centred, D ~ Dynamic, E ~ Effortless Breath, Effective, Efficient, Euphoric F ~ Fantastic, G ~ Gratitude, Guilt free, H ~ Heart expanded, I ~ Infinite, J ~ Joyous, K ~ Knowledgeable, L ~ Limitless , M ~ Motivated, N ~ living in the NOW (Mindful), O ~ Open, P ~Passionate, Q ~ Quality time spent, R ~ Resourceful, Rewarded, Relaxed S~ Sensate, Still, Seeking, T ~ Travelling (along a path), Toned, U ~ Unambiguous, V ~ Visualisation, Victorious (Very Lucky), , W ~ Well, Wellbeing, X ~ , Y ~ Yawning (Energised Breathing! ), Z ~ T.B.C…..! Come along to a YogaBirth Pregnancy Yoga class and experience and create your own personal ABC! I am sure you will find what you need at this special time in your life. Call Melanie today for a chat on 07896 0476 660, about your requirements and to answer any of your questions and queries. Melanie has various classes during the week around Aberdeenshire and at various times of the day and evening so you should find a time to suit you. 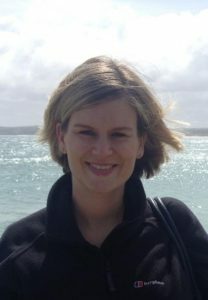 Melanie owns and manages Paradise Clinic in Kemnay, Aberdeenshire. As well as a centre for Pregnancy Yoga in Aberdeenshire, Paradise Clinic (www.paradiseclinic.co.uk) has a range of treatments from Maternity Reflexology, Needle Free Acupuncture to Ayurvedic Massage. I teach yoga for pregnancy, postnatal yoga, birth preparation, breastfeeding support and general yoga near Queen’s Park, London. I have been teaching for more than 22 years -helping prepare women, couples and groups for childbirth, and supporting them during the postnatal year. I trained originally with The Active Birth Centre, British Wheel of Yoga and Birthlight, and have been part of YogaBirth since it was formed. I am also a massage for labour teacher and breastfeeding advisor. I have 2 teenage boys, both born at home. I got actively involved with yoga in 1998 years ago and have continued ever since! When I got pregnant with my first daughter in 2003, I started attending YogaBirth classes and then went on to postnatal Classes after Gergia was born. I was inspired by the classes and by my YogaBirth teacher. Following the birth of my second daughter, and with help of my own teacher, I decided to train as YogaBirth teacher and I have not looked back since! I love teaching pregnant women and sharing all the amazing knowledge which helps women during labour and birth. I teach YogaBirth classes and birth preparation for groups and individuals in Sheffield, and I also work as a birth doula. 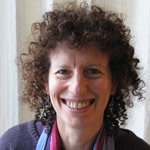 In 1997 I completed my training with the Active Birth Foundation, and subsequently taught in the South Yorkshire region. Over these many years I have found working with women and their partners throughout pregnancy and postnatally to be the most wonderfully satisfying experience. Currently a committee member for the Association for Improvements in the Maternity Services and co-founder of the Sheffield Home Birth Conference, my passion and enthusiasm to make birth as positive an experience as possible remains as high as ever. I am currently working as a Community Midwife in the Inverness area. At present I teach one pregnancy yoga class a week. I really enjoy teaching this class as I feel the combination of my YogaBirth training and my midwifery training enables me to offer a wealth of experience to the women that come to my class. Some of the feedback I receive from the women states that they enjoy the balance of information that they receive within the class in relation to other antenatal classes they attend. They also say that the classes are the highlight of their week and that the friends they have made in the class are the ones they remain in touch with after the birth of their baby. I teach prenatal yoga with birth education, postnatal yoga and baby massage at the Letchworth Centre for Healthy Living and in the village of Ashwell. Having been a regular yoga practitioner for some years, I was recommended YogaBirth classes during my second pregnancy. I found these classes so beneficial that I decided to train to teach Yogabirth, and became an accredited teacher in 2006. I love creating a safe and nurturing atmosphere for the women in my classes, and I believe passionately in supporting women with their partners, to feel informed, confident and ready for their individual experience. I live in North Hertfordshire with my husband and two teenage children. 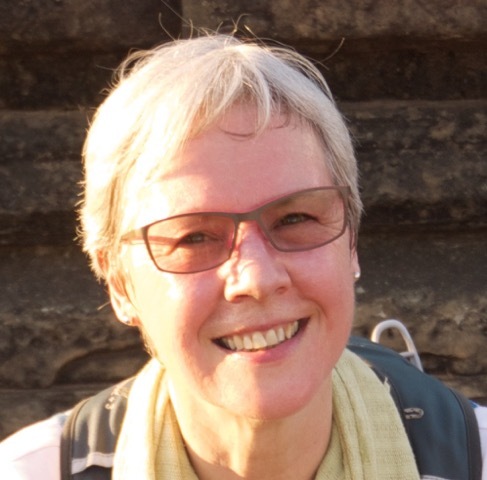 Kay Millar has over 25 years experience of teaching yoga and working with new parents and has held YogaBirth classes in London then Oxford since 1982. 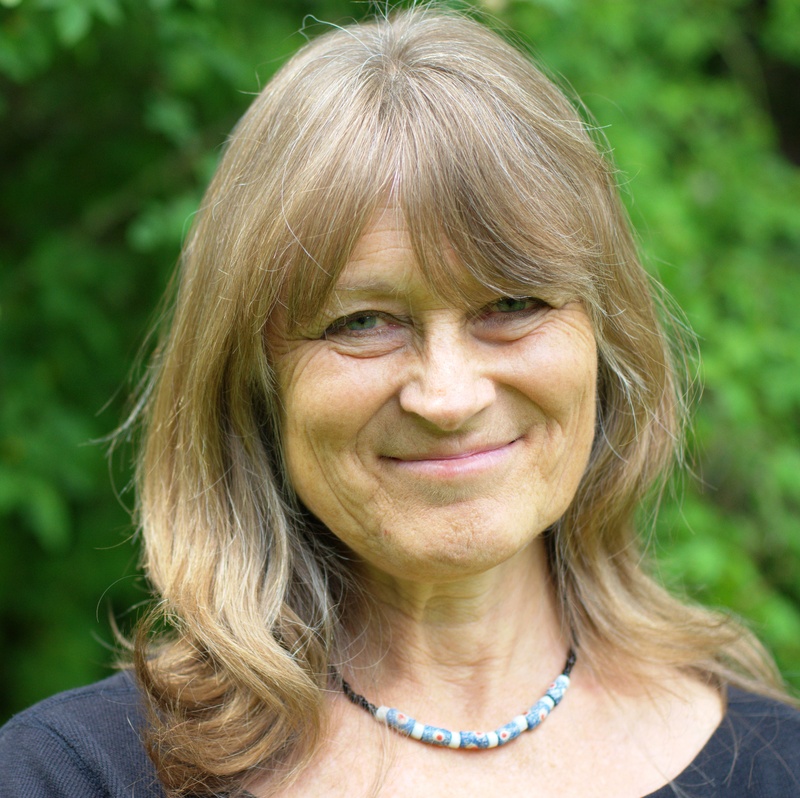 As well as working at the International School in Oxford, Kay is also qualified to teach Baby Massage and Hypnobirthing and is an integral part of our Teacher Training team and a guest tutor on the British Wheel of Yoga Pregnancy module. Kay also helps to run workshops for the London Yoga Teacher Training Course Group who provide training for teachers and experienced students. Yvonne Moore is a founder member of the Active Birth Movement (1981) and co-founder of the Active Birth Teacher Training Course (1986) of which she was a Director from 1990 until 1997. Yvonne was instrumental in organising the London Birthright’s Rally (1982), the two Active Birth Conferences at Wembley (1982 &1983) and the International Water Birth Conference (1995). In 1989 she was appointed a trustee of the Primal Health Research Association by Dr. Michel Odent, Head of Research. 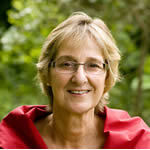 Yvonne is a co-founder of ‘YogaBirth’, established in 2000. She has lectured and held workshops for midwives and other health professionals both in England and abroad. Her efforts in the early ‘80’s, together with her co-founders, were the catalyst for dramatic improvements to the way birth is seen and approached today. Far from stream-lining women to have a ‘natural’ birth, Yvonne empowers women to make their own decisions using yoga, meditation and childbirth education so that they become an active participant in their labour and birth process. Her passion and love for her job is evident in the thousands of women whose birthing experiences she has helped to enhance and enlighten for over 30 years. 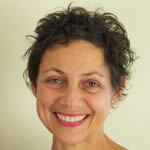 She continues to teach weekly pre and postnatal classes in North London, along with birth preparation courses. 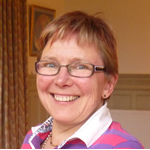 Yvonne is also an Inner Re-Patterning Practitioner which is a mindfulness, energy psychology based approach to creating health and well-being which is particularly beneficial to the expectant mother by unblocking preconceived fear about labour and birth. I run Yoga for Pregnancy and MamaYoga classes, offering both group and private sessions, in Forest Row and Brighton, East Sussex, as well as classes and workshops abroad. 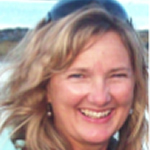 I originally trained as an Active Birth teacher, and have been teaching and mentoring parents for over 20 years. In addition to my YogaBirth work, I teach Scaravelli inspired yoga, also drawing from the Feldenkrais technique and Release Techniques. I am passionate about supporting women and mothers at all stages of their journey. I am co-creator of The Bliss Space, a project for mothers that offers a unique fusion of life coaching and yoga. I teach general yoga, pregnancy yoga and postnatal yoga in North London, and also run yoga holidays worldwide. I run group classes and one to one sessions and try to arrange a general yoga holiday every year as there is nothing better for me than teaching in a warm, relaxed environment day to day. Since I began teaching pregnancy yoga, these have been my favourite classes of the week. I feel honoured to be part of a woman’s world at this special time. For some this is the first time they are truly connecting with their bodies, their breath, even the present moment! I hope that I am able to help them enjoy pregnancy, and I still find it amazing to hear that they have taken something of what I have taught with them into their daily life, their birth or even into motherhood. I believe that yoga is a powerful practice for women to enhance pregnancy, facilitate labour, birth and recovery in the postnatal period. As a founder member of the Active Birth Movement in 1981, I campaigned for women to move freely and spontaneously during the birth of their babies. For many years I was co-director of the Active Birth Teachers Training Course (1985 – 1999) and also taught the Active Birth Module to student midwives at Thames Valley University. I was part of the team at the pioneering St. John and St. Elizabeth Hospital, and have been able to offer workshops to midwives and obstetricians at hospitals in the UK and abroad. Throughout all of this time (30 years) I have taught antenatal and postnatal yoga and birth preparation to women and their partners in my local community in the Notting Hill area of West London. I was a founding member of YogaBirth in 2000, and am also a mother, a birth doula and hypnobirther, experience and knowledge which I bring into my courses and classes. 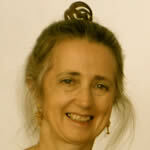 I qualified in 1997 as an Active Birth Teacher and have been with YogaBirth since it was formed. Since qualifying I have been a full time Active Birth/YogaBirth Teacher and Parent Education Co-ordinator at Chelsea and Westminster Healthcare NHS Foundation Trust in London. I teach prenatal and postnatal YogaBirth classes in West London. I also run birth preparation workshops for couples. I have been working around pregnancy and birth since 2001 as a birth doula, maternity reflexologist and then as a yoga teacher and childbirth educator. I am also a trained Hypno-Birthing teacher and a mentor to trainee doulas, yet yoga is my passion and I believe it can bring peace and strength to each of us. At present I teach in two beautiful studios in Fulham and Chiswick. I hope to inspire women to feel confident in their innate ability to give birth and to connect with their intuitive wisdom and power through yoga. My classes are suitable for beginners and experienced yogis and the atmosphere is friendly and upbeat with music in the background and threads of laughter woven between our more focused breath work. I am eternally grateful to the YogaBirth way which guided me on my own journey of discovery as a mother to be, many years ago, and for providing me with the training to confidently pass on this passion through safe and informative yoga classes. I find this work enormously satisfying. Over the years I have built links to a fantastic group of pregnancy and postnatal therapists who visit my classes to share their knowledge during tea and discussion time. Many lasting friendships are made in YogaBirth classes- it is a wonderful cocoon in which, for an hour or two, you can find some deep calm within yourself and with your baby. In 1980, newly pregnant, I went to classes with Janet Balaskas and was inspired, by the great experiences I had there, to train as an Active Birth teacher . The classes helped me get through a long and difficult labour, and to become the first woman to give birth squatting in Harrow Rd Hospital! I started off in north London in 1984, over 25 years ago, teaching in a private centre and a local authority family centre. Since then I have taught Pregnancy Yoga, Mother & Baby classes, incl Baby Massage & Birth Preparation Courses for couples. I also taught for many years in Cork, Ireland and now in Co. Kerry. In Cork, I started a Stretch and Relax class for mothers – a space away from family, just for her, with yoga, massage, relaxation and supportive conversation, which the women loved. I have been with YogaBirth since it’s foundation. I have worked as a psychotherapist, massage therapist and rebirther and group facilitator for transformational workshops. I have some training in Birthing from Within, and Calm Birth. I am a Biodynamic Craniosacral Therapist, working with all ages from newborn to elderly. This can be very helpful in pregnancy and for newborn babies. 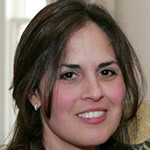 I have trained in Castellino Prenatal & Birth Therapy, which helps to resolve imprints from our earliest experiences. This can be done with mothers and fathers in pregnancy, to help heal any difficult early issues, and postnatally, with their baby, if the birth was difficult or there are issues with feeding, attachment. I am trained in Somatic Experiencing, Peter Levine’s approach to resolving trauma, and as a Shamanic practitioner. My new centre in Kerry is a beautiful space, with mountains all around, where people feel welcome and the ambience fosters relaxation and rest. I thoroughly enjoyed attending antenatal yoga classes during my pregnancy three years ago. Yoga helped me to believe in my body’s capabilities and to believe in myself – before, during and after giving birth. Now teaching ante-natal yoga myself, I hope to pass this on, and provide support to other women during this incredible stage of their lives. Prior to pregnancy I attended yoga to help relieve back pain; to improve posture, flexibility and strength; to promote relaxation and as part of a keen general interest in maintaining a healthy body and mind. I am interested in the idea that yoga can also be a spiritual activity with the potential to bring greater peace of mind. I live in West London with my husband and young son. I first became interested in Yoga when I went to University in Bristol in 2003. I enjoyed the exercise, but never really experienced anything more than a physical connection with yoga. I practised yoga on and off over the years however, it never really became a part of my life until I was pregnant with my first son. I practised yoga regularly for the health benefits during my pregnancy but found myself connecting with yoga physically, mentally and spiritually. Positively changing the way I live my life. I especially enjoyed Hatha and Ashtanga Vinyasa Yoga and then later I discovered Scaravelli inspired yoga through ‘YogaBirth’ when I decided to train as a pregnancy yoga teacher in 2014. I am a mum to two young boys. I am also a community midwife, supporting women to achieve positive birth choices.